As I have mentioned many times, I strive to feed my family and myself only organic and natural, GMO-free foods. It is the right decision for our family and thankfully it is becoming easier and easier because of great companies like BerryCart! In a nutshell, BerryCart is a new monthly subscription box that will allow people to try 9-10 organic, non-GMO, and all-around healthy products. There are few things that make the BerryCart box unique. First, there will be a lot more full-size products (min 4/box) than other “sample” subscription boxes. 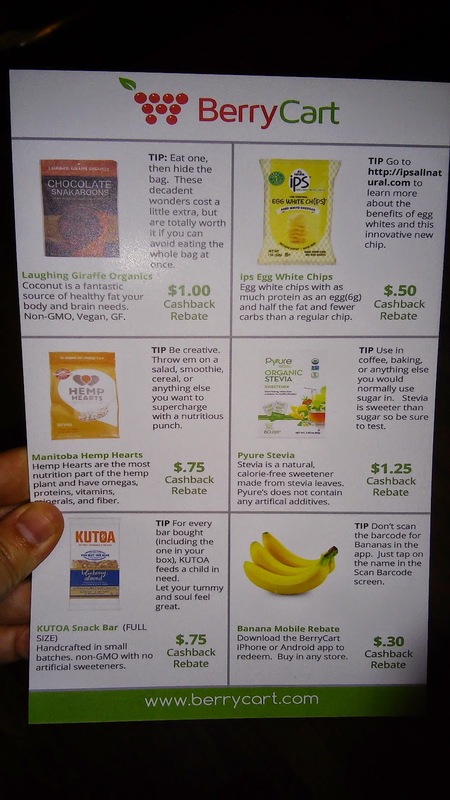 Also, when a box subscriber finds a product they like, they can use the BerryCart mobile app to get a cashback rebate on it when they buy it in the store. This makes the BerryCart Box an even better deal! In the April box, I received 9 great products, 5 that were full-sized. I also received 1 Exclusive rebate that can be redeemed at any store carrying the product. These products were all unique to me and ones that I haven't tried before! 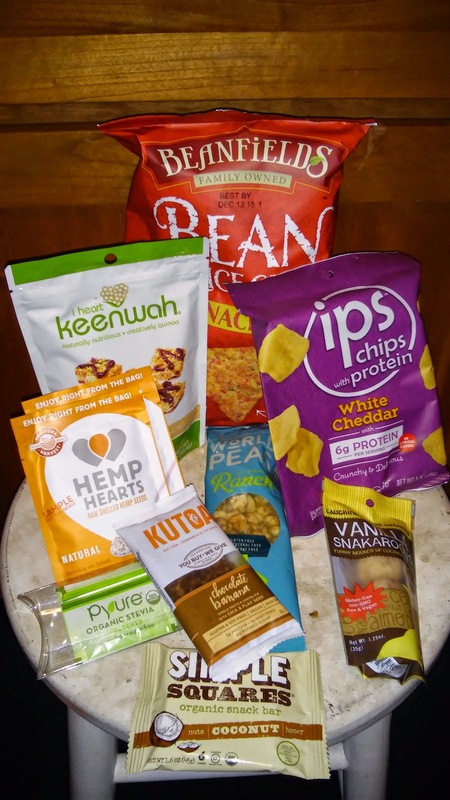 I really enjoyed trying out new organic and natural products and I especially loved that NONE of them contained High Fructose Corn Syrup, Artificial Flavors, Sweeteners, or Preservatives! Choose a 1-month or 3-month subscription. Cancel anytime. Try! An assortment of healthy foods will be shipped to you monthly. Save! All products come with a cashback rebate using the BerryCart app. If you are starting out trying organic and natural foods or just want some healthy snacks and to save on them if you like them, then try out the BerryCart Box. I like that they send some full size bags and they really sent a great assortment of snacks and treats! You can purchase a BerryCart Box starting at $24.95/month on the BerryCart website.